Bibliotheca Arabica is dedicated to research on Arabic literatures dating from the years 1150 to 1850 CE, and combines literary and manuscript studies. Within this defined period of investigation, Bibliotheca Arabica focusses on literary production, transmission, and reception, and sets these in relation to the political and social transformations that were taking place at that time. 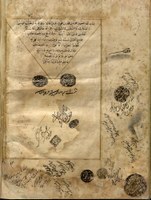 By reconstructing the transmission and distribution of manuscripts and the mobility of scholars, the transregional perspective will go beyond the famous centres of Arabic literary production—namely Egypt, Syria, and Anatolia—to regions as diverse and far-flung as the Indian subcontinent, sub-Saharan Africa, and Southern Europe. Although the project is dedicated to literatures in Arabic, it also takes into account the embeddedness of Arabic cultural production in the multilingual textual environments of the Islamicate world. Project Period: 2018 – 2035. First of all, texts preserved in manuscript form allow for an investigation of the complexity and variety of pre-print literary production as well as its contexts: Who were those copying texts, and where, for whom, and why? Who were the readers of certain texts and who were their owners? Who were the scholars who commented upon works, transmitted them over time and space, and re-invented them within their own contexts? How did books travel, both as physical objects and as texts? Secondly, the manuscript heritage brings to light many text types and genres that are often neglected in the history of Arabic literature. Some genres might have been very popular at a given time and in a given region, but the histories of Arabic literature have nevertheless marginalised them. By combining literary and manuscript studies, the Bibliotheca Arabica aims to critically reassess the writing of Arabic literary history and to complement that reassessment with new approaches and material. The aim is to form a more differentiated and nuanced notion of how certain genres and text types have developed at different times and in different regions. The project will fundamentally contribute to the reconceptualisation of obsolete and outdated concepts of literary histories a rethinking that is currently undertaken in different disciplines. In Arabic studies, scholars have called for a revision of the decline paradigm, but researchers have lacked the necessary bio-bibliographical tools to support these efforts and guide them through the vast domains of Arabic literary production and its reception across the centuries. Seven decades after the last revised and expanded edition of Carl Brockelmann’s epoch-making Geschichte der Arabischen Litteratur (GAL, 1943–1949), the number of manuscripts documented in catalogues and databases has burgeoned. The digital research platform that is being developed through this project provides a much-needed expansion and update of Brockelmann’s history, for the first time combining information from manuscript catalogues, biographical reference works, and manuscript notes, such as readers’ or owners’ entries. In the long term, the information gained from the database will enable the researcher to explore manifold linkages between persons, places, and works, as well as the production and transmission of these works and their actual use in specific contexts. Thus, the platform will provide the foundation for a new history of literature. The research programme consists of three research modules. Two of them, in a series of exemplary projects, apply spatiotemporal perspectives on production, transmission, and/or reception of works and genres. The results will be published in a new series, in cooperation with a leading publisher in the field. These projects are accompanied by the module for the development of a research platform and methods of the Digital Humanities. The first of these research areas, the macro-perspective module, focusses on long-term phenomena and broad geographical areas. Developments of literary genres and their transmission are studied, along with the transregional relations between networks of scholars and the contexts of book production. The second area, the micro-perspective module, focusses on case studies of Islamic book and library culture. The third module is directed toward developing a bio-bibliographical research platform. With a focus on integrating digitised catalogue data and collections of manuscript notes, this platform aims to combine a curated compilation of bio-bibliographical sources and Linked Data (Wiki) collections. The Bibliotheca Arabica project will produce a book series of 16 volumes and an unspecified number of articles and working papers. The series will be published with a leading publisher in the field. Digital publications will include a bio-bibliographical reference work of Arabic authors and works, an online database of manuscript notes, and a research library that will allow for the exploration and visualisation of larger interrelations in the history of Arabic manuscript literatures. We are looking for promising PhD candidates to work with us on genres and libraries, beginning in early 2020 and onwards. For more information, please contact Dr. Stefanie Brinkmann (macro module) or Dr. Boris Liebrenz (micro module).